Six-time world rally champion Sébastien Loeb and fellow competitors in the 2010 FIA World Rally Championship, who are contesting Rally New Zealand this week, took a few hours to enjoy sailing on Auckland Harbour and bungy-jumping off the Auckland Harbour Bridge. Loeb and his Citroën Total team-mate Dani Sordo and BP Ford stars Mikko Hirvonen and Jari-Matti Latvala were among those who enjoyed a morning’s sailing on an America’s Cup boat, NZL41. 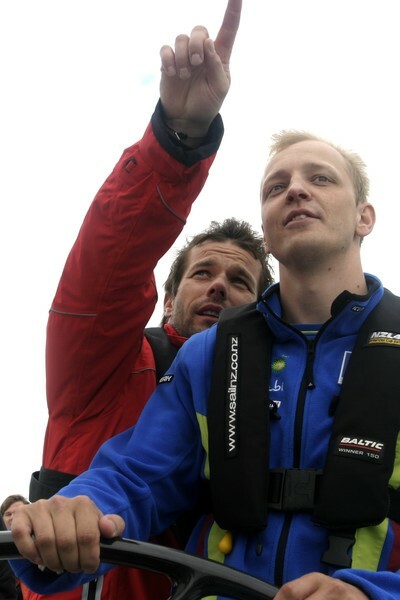 Loeb said it was his first experience on a big sailing boat. “It was perfect. It’s really complicated to see what goes on on the yacht, but it’s interesting to see how it works,” said Loeb who was hoisted up the mast by his Citroën team-mates as one of a series of challenges set for the two crews by the Sail NZ sailing experts. The Ford crew, led by Latvala’s co-driver Miikka Anttila, won the challenges, much to Hirvonen’s delight. Some of the drivers headed off to the Auckland Harbour Bridge bungy jump run by AJ Hackett. Loeb showed his former gymnastic skills with a double somersault jump, which encouraged Latvala to attempt to match Loeb’s athleticism. The sailing participants were: Sébastien Loeb and Daniel Elena, and Dani Sordo and Marc Marti, both pairings from the Citroën Total World Rally Team; Sébastien Ogier and Julien Ingrassia from the Citroën Junior Team; Jari-Matti Latvala and Miikka Anttila, Mikko Hirvonen and Jarmo Lehtinen, both pairings from BP Ford Abu Dhabi World Rally Team; Matthew Wilson and Scott Martin, and Henning Solberg and Ilka Minor all from Stobart M-Sport Ford. The Petter Solberg World Rally Team was represented by media manager Tone Nesheim Tonerud, while Solberg and co-driver Phil Mills were out testing. 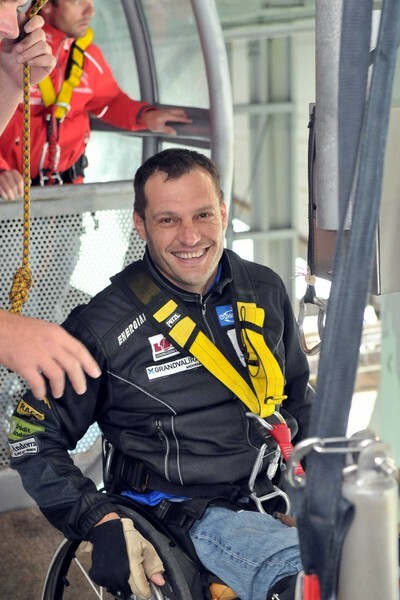 The bungy jump participants were: Loeb, Elena, Marti, Ogier, Ingrassia, Latvala, Anttile, Wilson, and Martin. Another of Rally New Zealand’s international competitors, Albert Llovera, also had the opportunity to experience the bungy jump. A former Olympic Games downhill skier, Llovera lost the use of his legs in a skiing accident. He switched to rallying in 1990 and fought to be allowed to compete in his car adapted with hand controls for the throttle, brake and clutch. With the assistance of AJ Hackett personnel, the irrepressible Llovera made the most of the opportunity to experience the swift thrill of a bungy jump over the Auckland Harbour. “It was fantastic, brilliant,” enthused the Andorran Llovera who drives his privately-entered Fiat Abarth Grande Punto in the Super 2000 World Rally Championship class. The general consensus was a thoroughly enjoyable day participating in two of Auckland’s most popular tourist activities before the WRC drivers tackle the serious task of checking pace notes during reconnaissance on Tuesday and Wednesday. Thursday sees the crews participate in shakedown, their first and only full-speed test session in their rally cars on the Auckland Domain super special stage, before the ceremonial start later that day in Viaduct Harbour. The rally itself takes place on Friday, Saturday and Sunday with competitors competing on roads through the Whangarei, Kaipara, Franklin, North Waikato and Raglan districts, before the finish ceremony back at Auckland’s Easter Viaduct at 3pm on Sunday. More information on www.rallynz.org.nz.